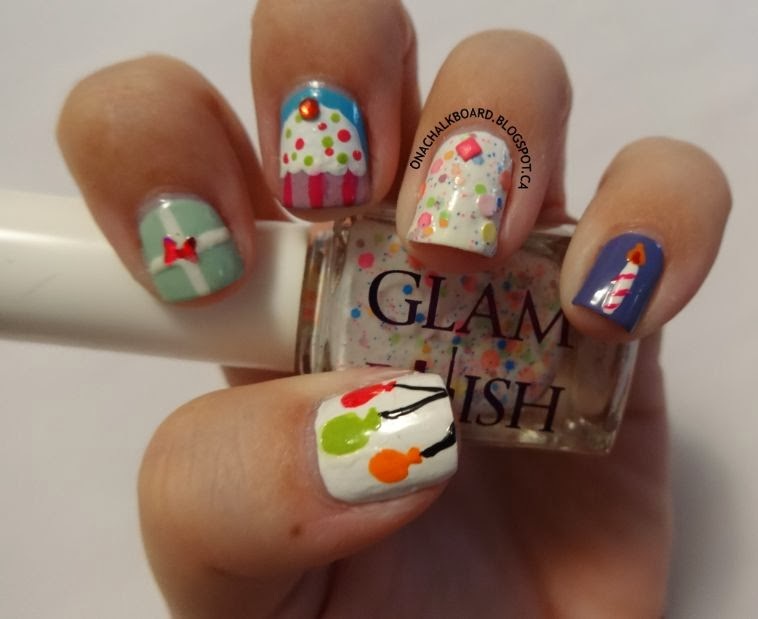 It’s my birthday this weekend, and even though I’ll be at work on my birthday, it doesn’t mean that my nails can’t party! Happy BIRTHDAY! Your nails are adorable! I can't decide on a favorite, I'm torn between that super cute candle or the cupcake! Hope you have a marvelous birthday weekend! How cute are these?? I love them!! Thanks Dani, I'm glad you like them! HOW CUTE!!!!!!!!!!!!!! These are just too adorable!!! !